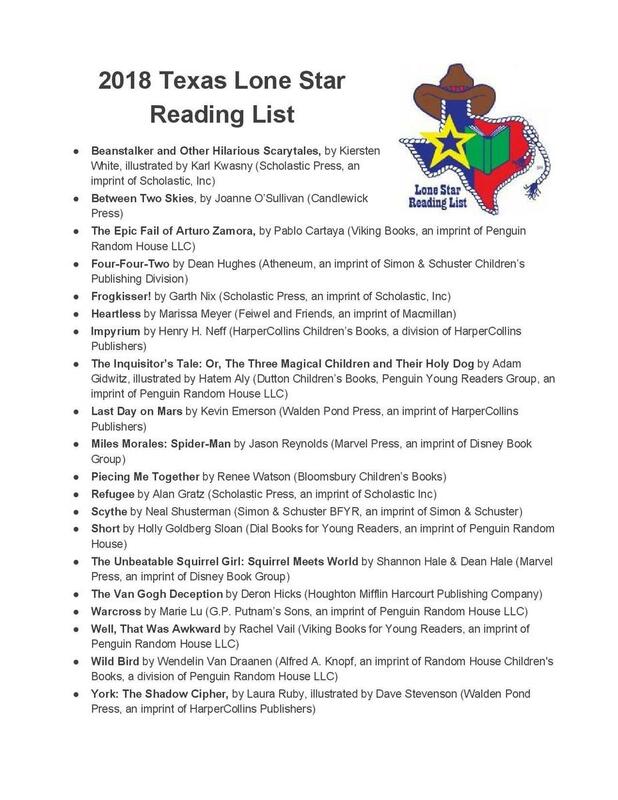 The Texas Lone Star list is a recommended reading list developed by public and school librarians from the Young Adult Round Table of the Texas Library Association. The purpose of the list is to encourage students in grades 6, 7, or 8 to explore a variety of current books. To find out more about the Lone Star Award go to http://www.txla.org/groups/lone-star.